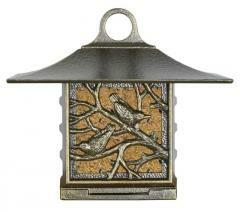 Suet Bird Feeders | Mailbox Collections, etc. Suet Bird Feeders. 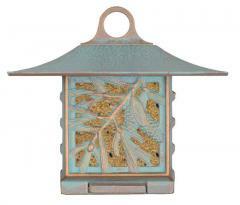 Artisan Suet Feeders - beautiful garden feeders for those gorgeous birds we love. Made from recycled aluminum with easy access to fill and clean. The roof of the feeder protects the suet from the sun and rain. Our Suet Feeders measure 10in W x 9in H x 6.75in W. A great addition to your garden.